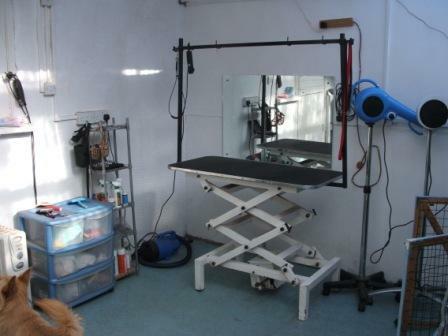 This visit is ideal for short coated breeds or to help maintain coat condition between full grooms on longer styles. It may not be possible on coats that have become matted. Upon arrival and after the greeting and confirmation of collection time, your pooch will be given a brush through and coat check. This is to determine the most suitable shampoo for your dog's skin and coat. Warm shampoo is then freshly made up for your dog and after a relaxing, warm bath your dog will be dried using a method that is best suited to their coat type and temperament. 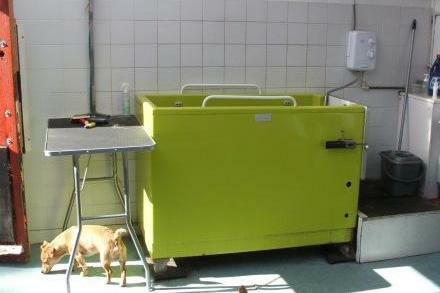 Most of the dogs that visit us are towel dried and then hand dried on the grooming table. 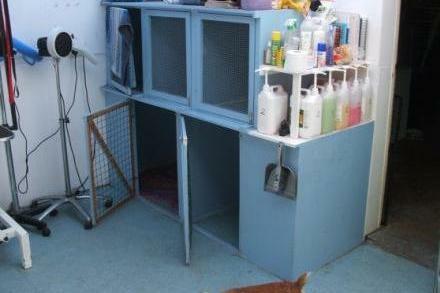 For dogs that are nervous of the hairdryers, a short break in a warmed kennel may be given. This will quicken the time required for drying on the table. 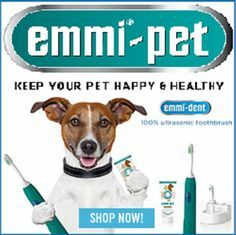 Now your dogs coat is tidied up, dependent on their requirement. Any loose coat is removed and the coat brushed through, nails are trimmed, sanitary areas are tidied, feet are tidied and in front of the eyes is trimmed. And finally your pampered pooch is given a spritz of conditioning coat spray and is ready for you to collect.